Still using a stock ringtone for your new Android phone? Oh, No! Create a new one to show your personality right now. Making a ringtone for Android phone is actually very easy. You can do it in three different ways: on the desktop, on the browser, or directly on your phone. Next let’s see how to create a ringtone for Android in the following step-by-step guide. 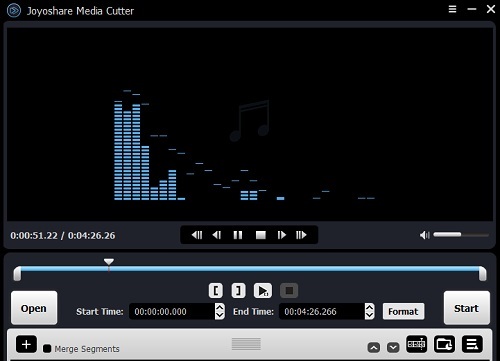 Not only works as a video/audio cutter, Joyoshare Media Cutter is also an easy-to-use yet powerful ringtone maker for Android, iPhone, Windows Phone, Blackberry and more. It supports multiple different audio file formats including MP3, WAV, WMA, AAC, AC3, OGG, AIFF, RA, RAM, FLAC, AA, MP2, M4A, M4B, M4P, MKA, M4R, MPA, APE, AAX, etc. so you can choose any kind of music file to make it as a ringtone for your mobile phone. With Joyoshare Ringtone Maker, you can easily cut any audio into pieces and choose the part you prefer to save it as a ringtone. You can also merge several audio clips from the same source together to form a new ringtone. Besides, the program allows you to extract audio from any video source, remove the noise from the audio file, and add special sound effects to your music, etc. You’re also enabled to change the volume, codec, sample rate and bitrate before exporting it. 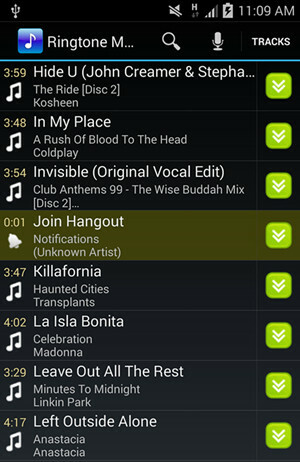 Creating a ringtone for Android phone with Joyoshare Ringtone Maker is quite simple. There are both Windows and Mac versions available. Here we take Windows version as an example. 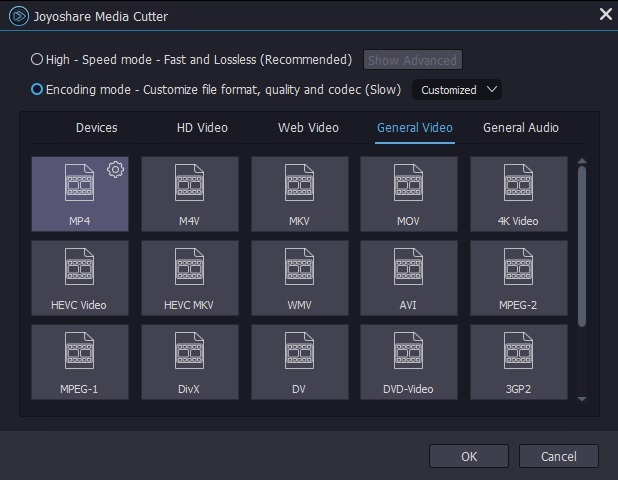 Make sure you have downloaded and installed Joyoshare Media Cutter on your computer. Launch the program and then import your target audio file into Joyoshare. You can click the "Open" button to add the song or just drag the file and drop it to the center of the program. Then move the handles to decide the start time and end time or manually set the temporal interval to get the best portion you want for your Android. Click the edit icon beside the audio and trim the file, add sound effects to the song, etc. You can also add another same audio file to get another parts you want by clicking the "+" button and doing the same operation. During the whole process, a real-time preview will always be provided, so you can pre-hear the music file whenever you make any change. 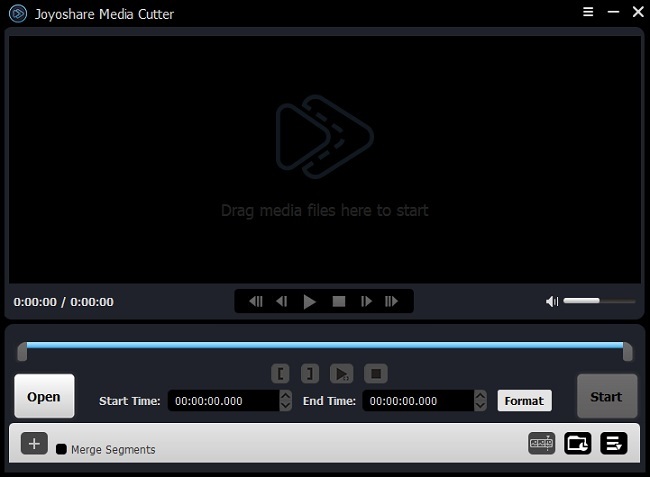 Click the "Format" button, you will see two options for output mode, and choose the "Encoding mode". Press the "Devices" tab on the menu and find the Android phone model that is same with your phone. Then press the gear icon on the right corner to change the parameters as you like. Then hit the "OK" button. After all the settings are finished, click the "Start" button and begin to process the audio and make a unique ringtone for your Android phone. Wait for a few seconds and find your new ringtone on the destination folder . 1. Go to Melofania site. Upload your beloved music file from your computer’s local hard drive disk or extract the audio from YouTube videos. 2. Select the best fragment you want. Drag the sliders to determine the part for ringtone, or move the selected area. You can also volume up or volume down the sound, or add fade in or fade out to the audio file. 3. 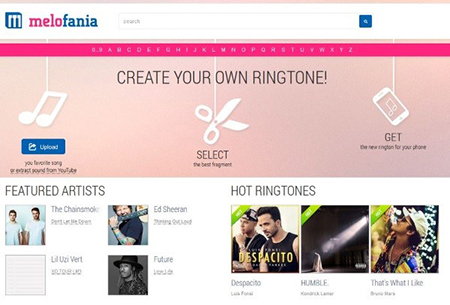 If everything is done, click the "Create ringtone" button. If not, redo it again. Give a new name to the ringtone and get it by downloading the link on "Android". 1. Open Ringtone Maker app, it will display all the music tracks stored on your phone. Choose one file you want to edit by tapping the down arrow on the right side of the file and select the "Edit" option. 2. Opt for the portion you desire to keep as a ringtone. You can use to the sliders or accurately enter the start and end points. 3. Now press the floppy disc icon at the top to save it. You can change the name of your new music and save it as ringtone before hitting the "Save" button. 4. After saved successfully, you can make it default ringtone. If you don’t like it, you can go to your Android phone’s Settings > Sounds menu and remove it. Create Ringtone for iPhone? Solved!